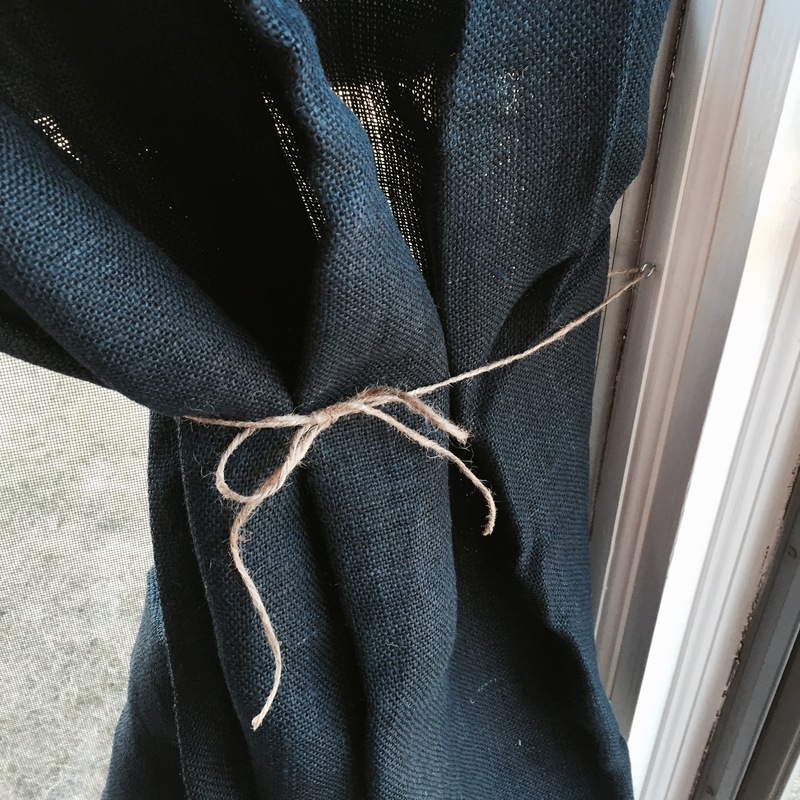 I’m in the process of remodeling my porch and recently found a great deal on navy burlap curtains at Target. Whenever I’m there, I check the back endcaps of the home department looking for clearance deals. I’m going for a rustic Americana look and the navy burlap was the perfect find. 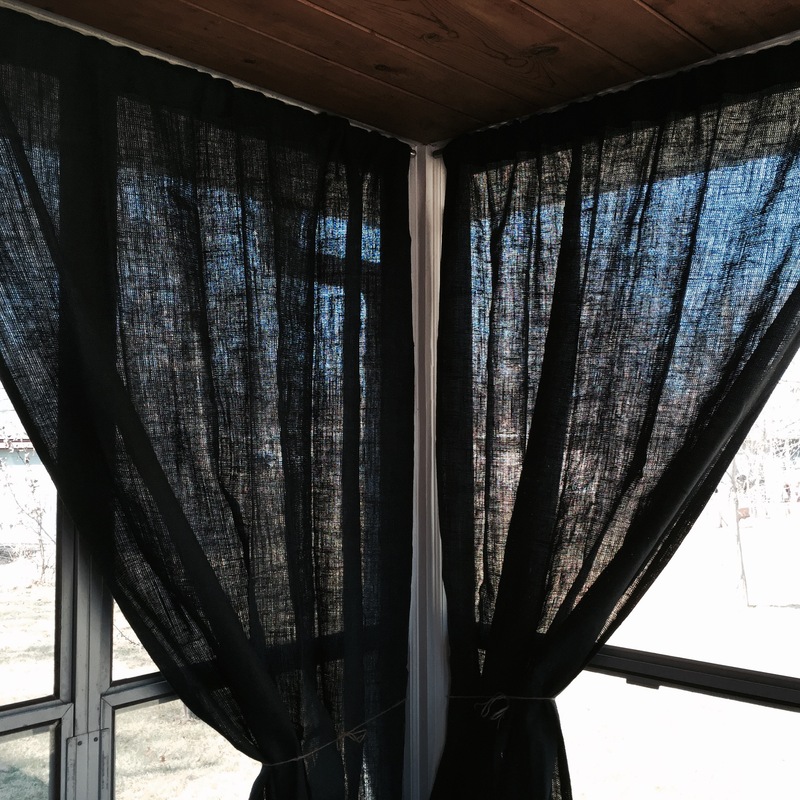 I wanted to find a way to hang the curtains that fit with the theme and the indoor/outdoor function of the porch, that was also somewhat inexpensive. I did some pinterest hunting and saw that people used metal pipes as curtain rods with industrial metal hardware to hang them. I thought this would be a great option for me. 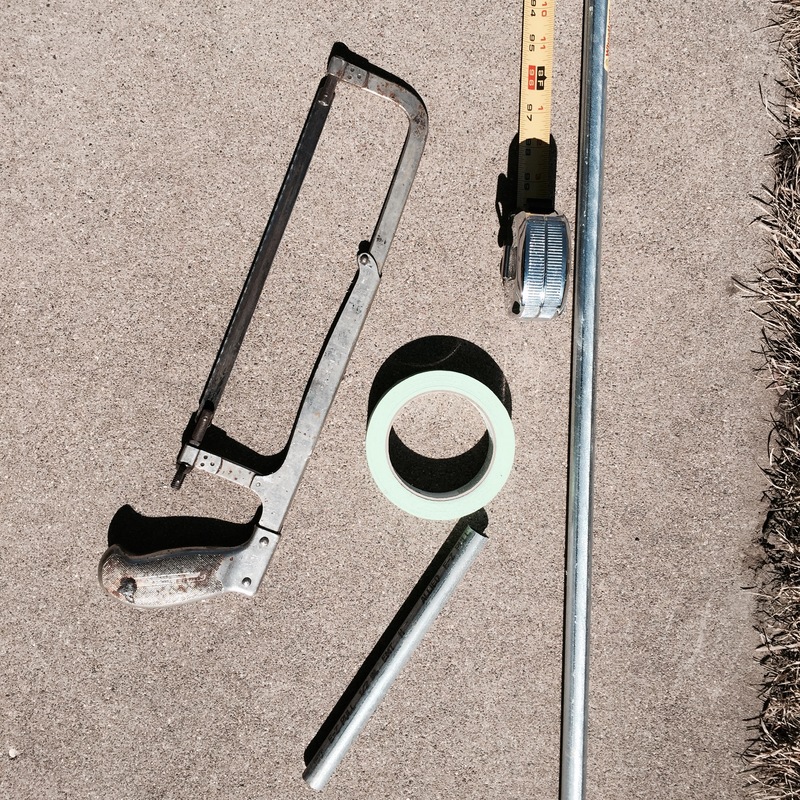 I went looking for metal pipe at my local home improvement store and found the perfect 1/2″ thick pipe that was $1.50 for 12 feet. 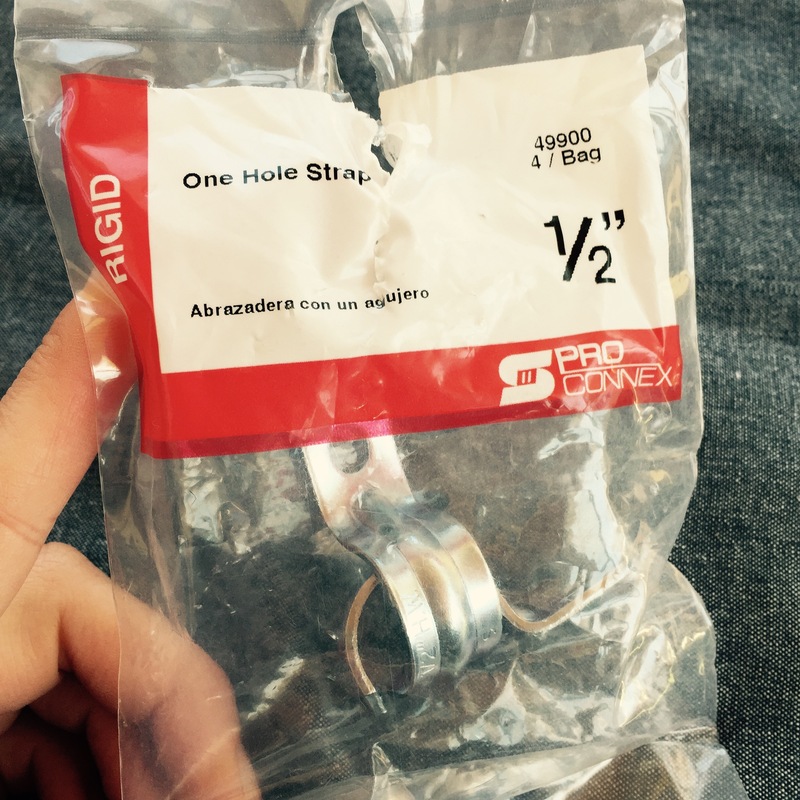 Hooks to hold the pipe were $0.60 for a package of 4. I left the store with everything that I needed for under $5! The key to the project is walking around with 12 foot pipe and not accidentally bumping it into anything..
-First I cut the pipe to the width of the windows I was covering. I just used a hand saw to cut them to the right measurement. 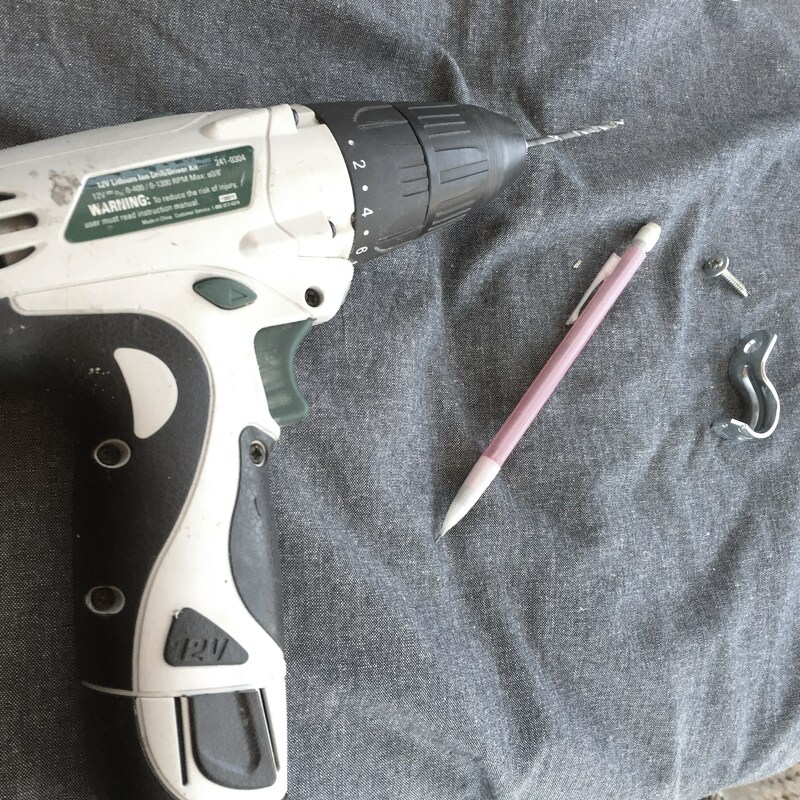 -I then drilled holes into the molding for the hanging clips and screwed them in place. I hung one clip on each side of the rod and one in the middle for support. 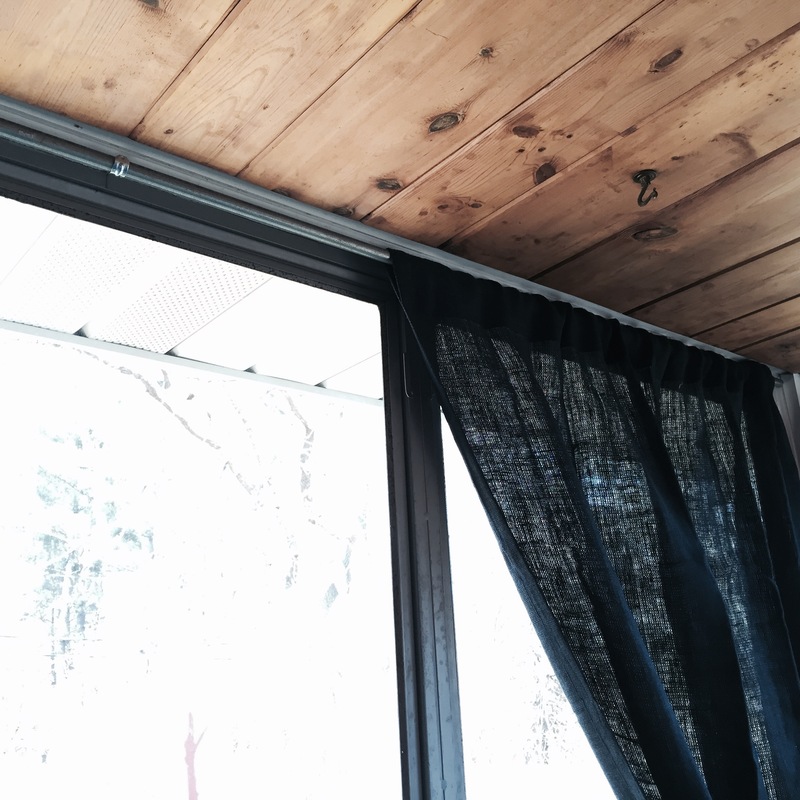 -I hung the curtains on the metal rod (careful not to cut myself or the panel on the pipe ends), and lifted it into place on the clips. -I used burlap twine to create tiebacks, and added hooks to the side moldings about halfway down the wall to hook the twine on. The entire project ended up costing under $25 for all of the panels, the twine, and rods, along with a few screws that I had already. 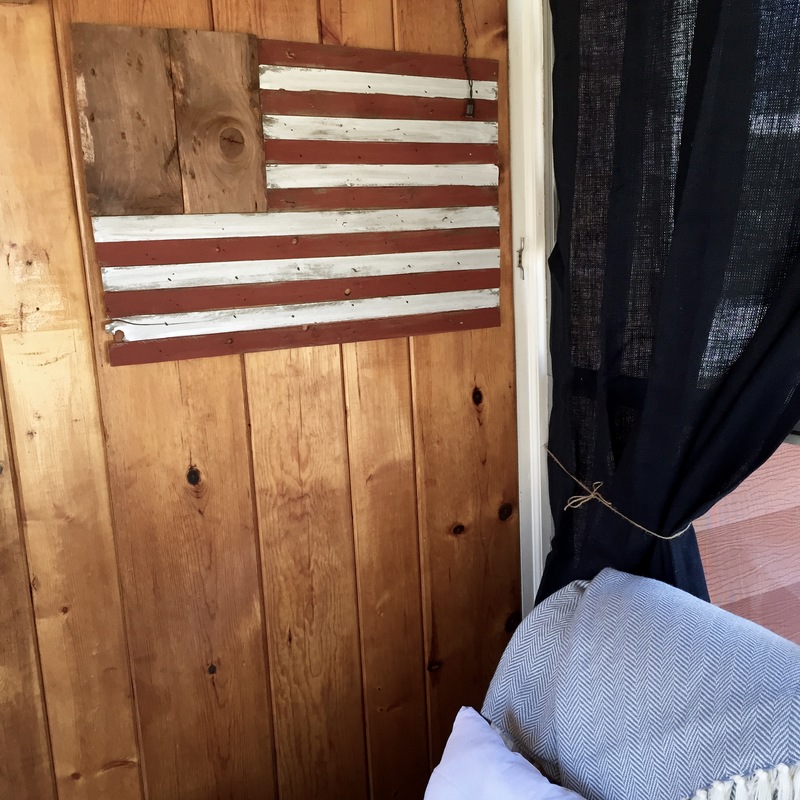 I love the way the panels add privacy and give my porch a more cozy, cabana-like feel!